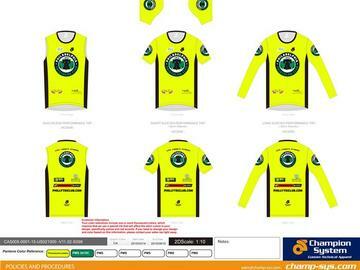 2015 biking and running tops are available again for just a few days! If you ordered once - no need to re-order. If you missed the 1st round speak now or pray I wake up on the right side of the bed Monday AM! This closes Sunday night! The biking a runnning items listed below are from Champion Systems. Click each link below for the manufacturer's description. Specify Mens/Womens & size/cut at checkout. Click for our sample images at the bottom. Prices include processing fees and shipping to PTC. We are trying to keep prices as lean as possible with no cushion to PTC. We will provide several opportunities for you to pick up stuff with no additional shipping costs. If you need anything shipped from us to you we'll have to pass those costs on. (These are custom made and we've asked for a rush order).